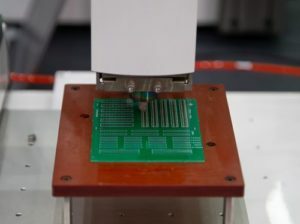 Since we live in the digital age, it’s no surprise that an increasing number of businesses rely on printed circuit boards to make their products. With the need for circuit board assembly services on the rise, the number of PCB assembly houses is, too. But how can you tell whether the PCB manufacturer you’ve chosen is really the best in the biz? You’ll want to conduct some thorough research and ask at least some of these questions before making your final decision. A typical engineer may be paid a yearly salary that ranges from anywhere from $50,000 to $150,000, but they don’t get to that top tier without experience. And with printed circuit boards, every little bit of experience goes a long way. You’ll want to find out how long your PCB manufacturer has been in business right up front. That can tell you a lot about how well-regarded they are in the industry, how competent they are at their job, and how well they’ve been able to adapt over time in order to succeed. This isn’t to say that you should view a startup or any young business in a negative light, but there’s definitely a case for choosing experience over mere enthusiasm. What Services and Capabilities Can You Offer? You may not always need a wide range of circuit board assembly services or design qualifications for every project. But knowing more about how versatile your manufacturer is can tell you a lot about their company values and whether you might be able to form a lasting relationship with them. For example, if they’re able to offer turnkey PCB assembly, small patch PCB manufacturing, and prototype printed circuit boards, you may want to give this company more consideration over a company that specializes in only one. Of course, it’s important to ensure that they can deliver equal quality across all categories. You’ll also want to find out their policies on shipping, project management, and other operations; if you need an all-in-one provider, that’s essential information for your budget and for your timeline. What’s Your Process For Quality Control? Opting to work with a provider for circuit board assembly services is a great way to cut down on errors. But even so, miscalculations and manufacturing mistakes can occur. That’s why it’s essential to determine whether your manufacturer has an effective process for quality control in place. By making sure the manufacturer invests in new technology, vets all designs before production, hires qualified staff, and has error-detecting equipment on site, you’ll have peace of mind that any errors will be caught early — and that your deadlines and your budget will stay intact. What Sets Your PCB Assembly House Apart? With so many choices for printed circuit board assembly services available to you, it’s a smart idea to find out what sets your top choice apart from the competition. Maybe it’s their unique ethos and culture or perhaps it’s their impressive roster of employees. It could also be their acquisition of cutting-edge equipment or their dedication to fast turnaround times. Ask your manufacturer to provide some information about what makes them different than all of the other options. Whether they’re new on the scene or have been established for many years, forging a real connection with your PCB provider can make you feel more comfortable with your final choice. If you’re in need of a reliable and reputable PCB assembly house, we’re here for you. To learn more, please contact us today.